Within two seconds of him stopping he had guns pointed at him. He raised his hands in fear of being shot dead (in this country you can get shot for raises you hands now). His stereo was on so he could not hear what anyone was saying and did not have the time to turn it off. The video proves it. The corrupt elements of the local cabal ran to his driver’s side window with guns still pointing at him. They were yelling something so he looked over at his stereo to determine if it was safe to turn it off so he could hear what they were shouting. 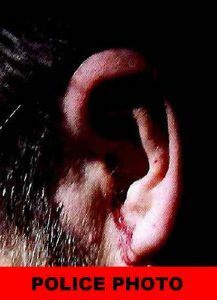 That was a mistake, as he looked back towards his driver’s side window he heard a loud bang. Gun shot? The next thing you know glass is flying everywhere. He is then pulled from the car and violently thrown to the ground and knocked out. Then they start stomping on him. 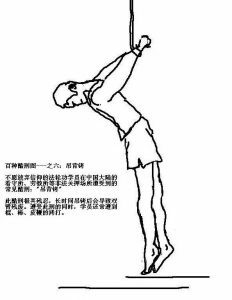 He awakes with either a knee or jack boot pressing down on his upper right back. 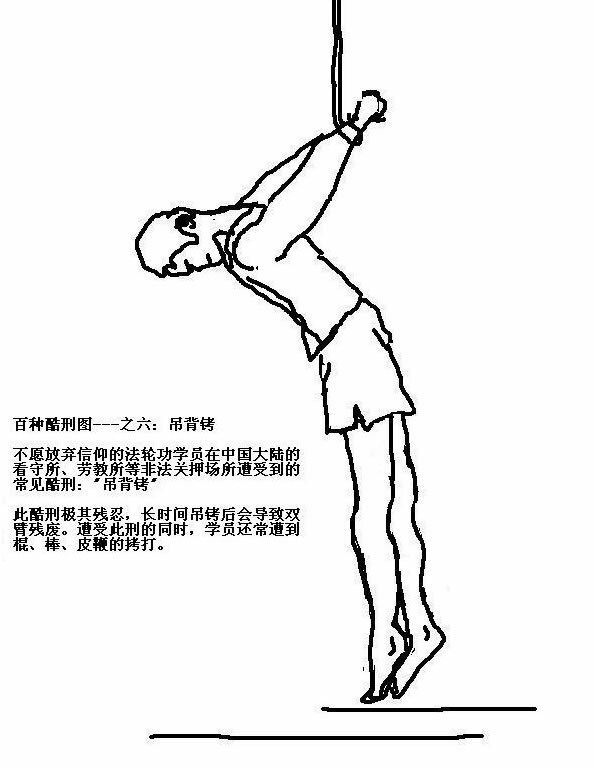 He then remembers his hands behind his back and lifted to his feet by his wrists. The pain was excruciating. Luckily there were other motorist’s in the area at the time. He was then taken to the Hospital from the injuries he sustained then arraigned on three accusatory instruments in the form of simplified information (SI’s) charges [People v. Tyler 1 N.Y.3d 493 “defendant was ‘charged’ when he was ticketed”] WST25CXCWC, WST25CXDQG and WST25CXDSW. This all occurred on February 27th, 2016. 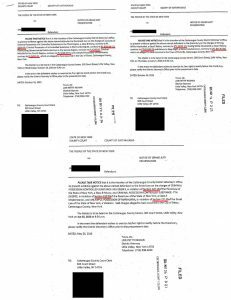 Three supporting depositions were gratuitously filed [People v. Key 45 N.Y. 2d 111, 116, 408 N.Y.S. 2d 16, 19 (1978)] along with the original SI’s. They did not meet facial sufficiency [People v. Smith 163 Misc.2d 353 621 N.Y.S.2d 449 “information was insufficient… and hence without any facts providing reasonable cause, it is unacceptable that absence of a factual allegation in the deposition is nonwaivable.” ]. 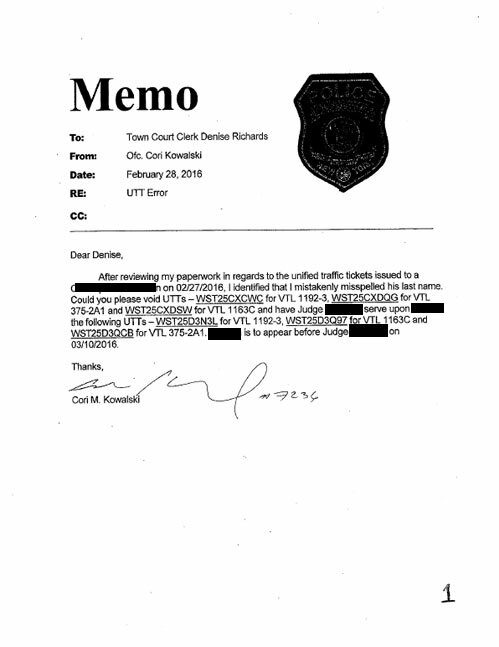 On February 28th, 2016, “Police Officer” Cori Kowalski, one of the stompers superseded the original simplified traffic informations with new ones; WST25D3Q97, WST25D3QCB, WST25D3N3L. Simplified informations are not allowed to be superseded pursuant to CPL § 100.50, therefore the superseding accusatory instruments were also null and void [People v. Greco, 12 Misc.3d 83 (2006), 819 N.Y.S.2d 630 “The Criminal Procedure Law does not provide for the filing of a superseding simplified traffic information.” “The next day, the complaining officer executed an accusatory instrument denominated a “SUPERSEDING SIMPLIFIED TRAFFIC INFORMATION” and “SUPPORTING DEPOSITION TO SIMPLIFIED TRAFFIC INFORMATION(S). Judgment of conviction reversed on the law and accusatory instrument dismissed.”, see also People v Finch, 19 Misc 3d 840]. Kowalski would also write a letter to the court stating as such. If they would have obeyed the law, i.e. followed due process, which never occurs in Cattaraugus County they could have moved forward [People v Flood 25 Misc.3d 843, 844]. Criminals to the last…. “[a] valid and sufficient accusatory instrument is a nonwaivable jurisdictional prerequisite to a criminal prosecution” [People v. Williams 32 Misc.3d 135(A) 936 N.Y.S.2d 61]. [People v. Green 192 Misc.2d 296 745 N.Y.S.2d 656, see also People v. Cullen 99 Misc.2d 646 (1979) “People cannot use the device of supersedure to continue a prosecution”]. 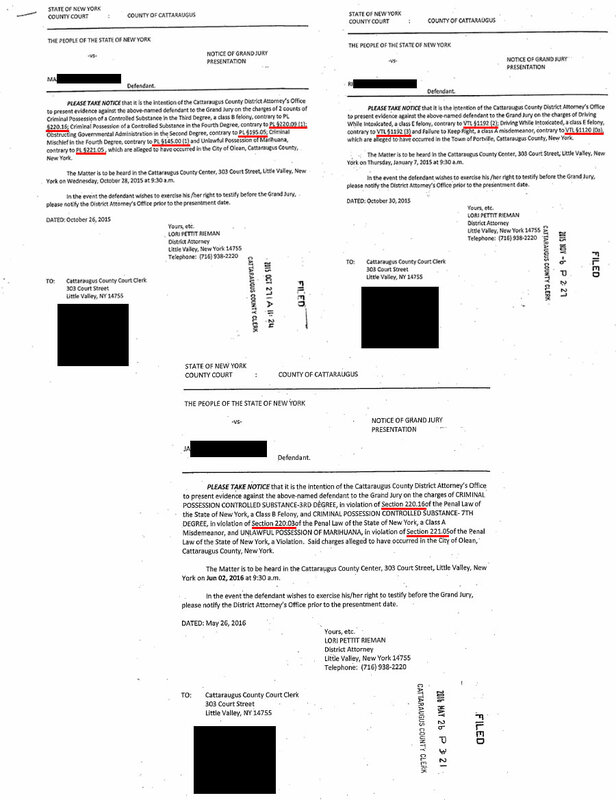 Further the supporting depositions were blank again. It appears the reason Kowalski illegally replaced them was because he misspelled the victims last name. When it comes to this type of mistake SI’s are required to be amended. [People v. Kurtz 175 Misc.2d 980, 670 N.Y.S.2d 1008 “Correct errors to time, place and names of persons”, People v. Johnson, 104 N.Y. 213, 10 N.E. 690  “Amendment of names is permitted to situations where a name is misspelled”], which requires the court to approve it before they do it. The District Attorney’s office would attempt to claim that because a “supporting deposition” was filed the proper conversion was made. Sorry, but that does not hold water either. The document is actually a Bill of Particulars and does not support anything. It contains no facts as related to what was observed when it came to the two violations. Further it also was created on, or after the 28th of February, 2016 and not served until March 10th, 2016, over the objections of the victim we might add. 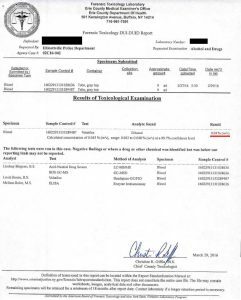 But the best part is it lists the superseding simplified information numbers WST25D3Q97, WST25D3QCB, WST25D3N3L appear on the Bill of Particulars, not the original superseded simplified information numbers. 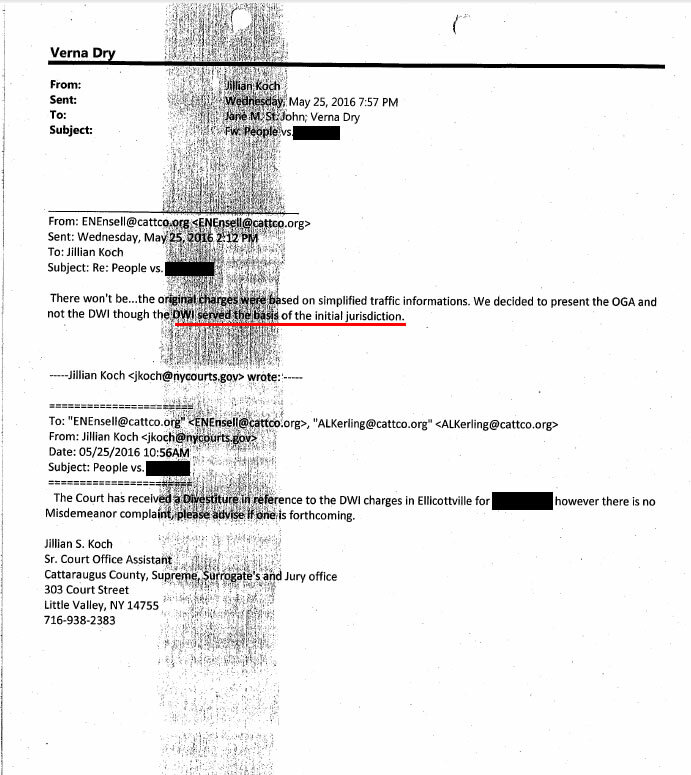 WORTHLESS – Let’s see if this is “overlooked” by the court and that they will attempt to claim it was from the originals, or will other fraudulent documents just appear out of nowhere like they have done in the past in an attempt to cover up their criminal conduct? The a copy of the original BOP is here and this is considered a public record, the 50-H hearing saw to that. Thank You. What is even more amazing is the fact that THE COUNTY COURT EVEN ADMITTED THAT THE ORIGINAL SIMPLIFIED TRAFFIC INFORMATION’S WERE SUPERSEDED. On page six of the court order and decision it is a clear as day. They can’t back out now unless fraudulent ‘documents’ just appear out of nowhere like they have in the past in other cases in violation of both state and federal law. 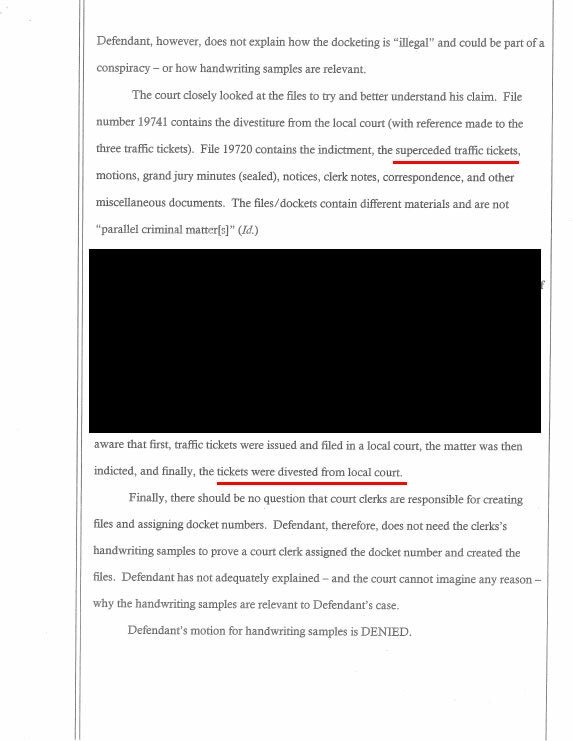 So the court also claimed the traffic tickets were superseded. That’s it, at least in a real court of law. But this is Cattaraugus County after all. You would think the criminal elements within Cattaraugus County would call it after all the injury they caused and the fact they have no authority to move forward to prosecute. The order also states it was moved by divestiture to the county court. Not having any authority to prosecute the matter the District Attorney’s Office still proceeded in violation of the law and perjury to oath of office and fraudulently used CPL 170.20 (2) to move it to the county court. The law is very clear, People v. Correa 70 A.D.3d 532, 897 N.Y.S.2d 14 spells it out; “while CPL 10.30 (1) (b) states that the Criminal Court’s trial jurisdiction over misdemeanors is “subject to divestiture”… by a [superior] Court, CPL 170.20 and 170.25 are necessary to implement that divestiture” . 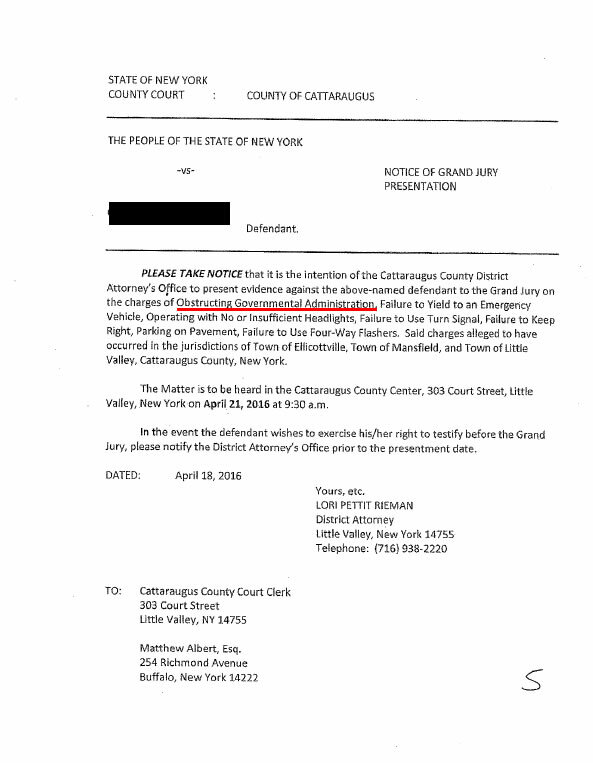 If the court had dismissed (acting sua sponte), or the people moved for dismissal in the lower Ellicottville Court, the illegal superseded informations, the District Attorney’s office the could have refilled new ones if they had done so within the CPL 30.30 time limits, making everything legal. However this is Cattaraugus County, New York where the rule of law is on permanent vacation and justice goes to die. 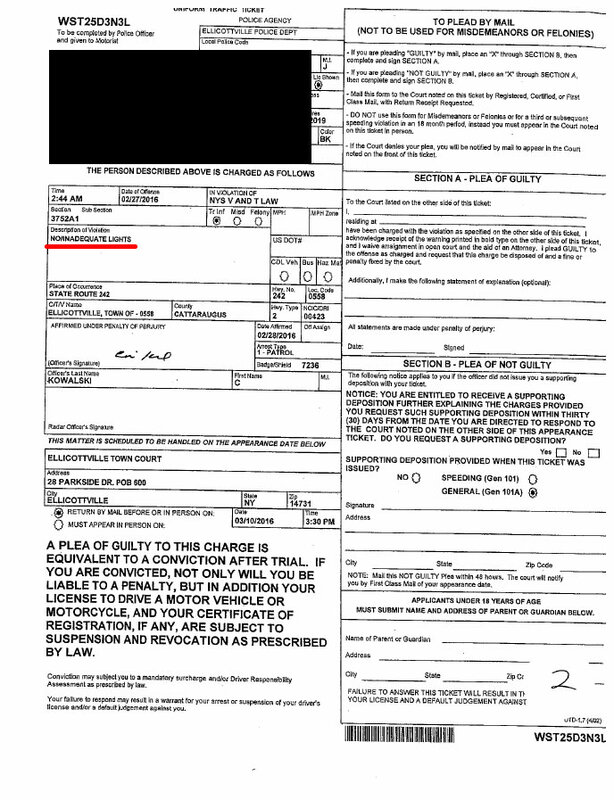 In other words there has to be a misdemeanor charge present and in order to be charged you have to be ticketed. The only misdemeanor charge in this matter was superseded one day later as stated above rendering it null and void. Therefore the DA Office was without authority to present to the Grand Jury. It lacked jurisdiction. Further, depending on who wishes to move it determines how it can be moved. 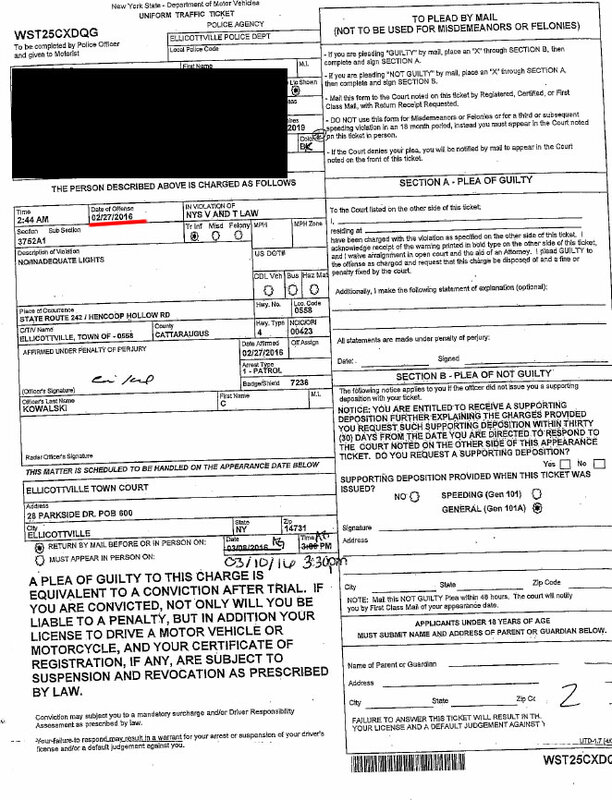 A superior court can move it on their own authority if they follow a specific procedure and completely bypass a grand Jury process, however if the District Attorney’s office wishes to it has to follow another procedure, that being CPL 170.20 (2), which requires it to be placed in front of the Grand Jury to move it which they could not do because they did not have a misdemeanor charge. 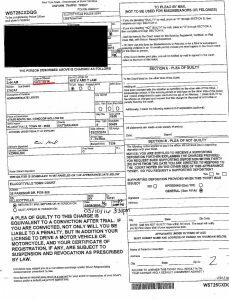 So on April 18th, 2016, they served the victims Attorney with an alleged CPL §190.50 Notice of Presentment claiming the victim had been “charged” with seven accusatory instruments while he is in county court for another hearing . However the Notice of Presentment was also fatality flawed. Of the seven alleged ‘charges’, the victim was only charged with possibly only one of them listed on the Notice… We say “possibly” because in the usual fashion for the victim the District Attorney violated standard practice and procedure by not citing the law that the victim was allegedly charged with. In all other presentations they cite the actual laws violated, but not for the victim. Proof of a personal vendetta against the victim. See how the District Attorney’s Office purposely confused the victim if he wished to appear before a Grand Jury? The other issue is the modern Grand Jury is nothing but a rubber stamp for the District Attorney’s Office. Members are not properly informed on what their actual powers are. They are constantly being fed you have to do what you are told or “follow the law”. The grand Jury came back with ten count, nine were traffic violations and one was an A misdemeanor “Obstructing governmental administration in the second degree.” This appears to be another historical first in Cattaraugus County. However even if the original charges were valid and they were properly taken to the county court the video clearly shows that the victim was not under arrest until he stopped when the guns were drawn on him. by law you cannot be charged with Obstruction in the second until you have been arrested and in this matter the ‘police’ who stopped the victim did not give him the time to react to what was occurring. The video clearly shows that. Quoting People v Offen 96 Misc.2d 147 (1978) “The defendant has not been charged with a crime, since this court recognizes as a matter of law that “fleeing” from an officer prior to arrest is not a crime.” Consequently, the motion to dismiss the charge of obstructing governmental administration (Penal Law, § 195.05), upon which the court reserved decision, is now granted and the charge is dismissed. Quoting People v. Iannone 45 NY 2d 589 (1978), “A word of caution is in order. It is beyond cavil that a defendant has a basic and fundamental right to be informed of the charges against him so that he will be able to prepare a defense. Hence the courts must exercise careful surveillance to ensure that a defendant is not deprived of this right by an overzealous prosecutor attempting to protect his[her] case or his[her] witnesses,” see also People v. Fitzgerald , 45 NY2d 574 (1978). Here is the issue with that in New York; the Grand Jurors can tell the DA to pound salt, take over the proceedings and investigate anyone and anyway they see fit when it comes to dealing with corruption. Fraud upon the Court is very clear in this matter. Further the Notice of Presentation was not filed by the District Attorney. Now why would they do that? Also, when an indictment is handed down a divestiture of jurisdiction form has to be created and sent along with the original charges to the superior court. The divestiture also lists the charges and a host of other information. 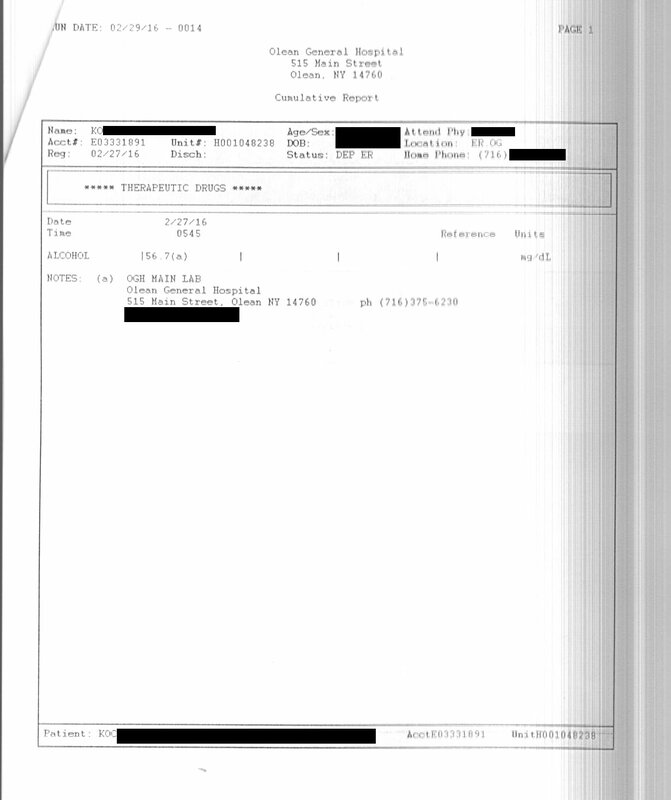 That was also not filed by the District Attorney’s Office. Why? CPL 170.20 (2) At any time before entry of a plea of guilty to or commencement of a trial of an accusatory instrument specified in subdivision one, the district attorney may apply for an adjournment of the proceedings in the local criminal court upon the ground that he intends to present the misdemeanor charge in question to a grand jury with a view to prosecuting it by indictment in a superior court. 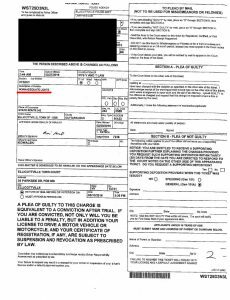 There was no “misdemeanor charge in question”, the victim was never charged because of the superseded informations and the he was never charged/ticketed with an “Obstruction of Government Administration” [People v. Tyler 1 N.Y.3d 493 “defendant was ‘charged’ when he was ticketed”]. 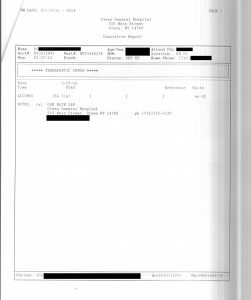 Even the county court personal were asking where the misdemeanor charge was on May 25th, 2016 and the DA’s office claimed that they did not need one, that the misdemeanor charge. In all cases the blood has to be analyzed by the State Police crime lab in Albany New York which takes about three months to get the results. But they rushed this job. All the blood samples were taken at the same time and they sent it to the Erie County Medical lab for forensic testing by hand delivery on Monday, the first business day after the attack. They wanted the test results back quick. Why? Simple they had a vendetta against the victim. The results from the lab were different from the hospital. Further the test kit was handed over to the cop with no seal placed over the vials. Further the box itself was not sealed. The test results from Erie county came back even lower at 0.04%, proving tampering possibly occurred. However, the hospital blood tests that produced the higher results use the Enzymatic Immunoassay method that combines all alcohols in the blood and other substances can also be included. Some of the other alcohols are methanol, acetone and isopropyl. Further, injury, specifically head and soft tissue injury can also produce higher results. Even with these possibly tampered with results they are by law is prima facie evidence that a driver is not intoxicated pursuant to VTL 1195 (2) (a). 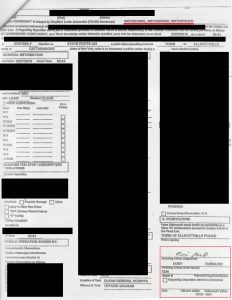 They even attempted to tamper with the results during the blood draw itself, they applied copious amounts of rubbing alcohol in violation of NYCRR: 10 CRR-NY 59.2 (d) to the blood draw area and destroyed the videos of it happening, about two hours worth. Who knows what they did to the vials afterwards. How convenient. It is a standard policy and practice in this county to destroy and/or edited videos which of course is completely illegal. The Enzymatic method does not factor out and measure specifically ethyl alcohol, the alcohol that is considered the intoxicant that a person is held liable for and this test method confirmed by the hospital and thoroughly documented. It is also very easy to tamper with blood samples. 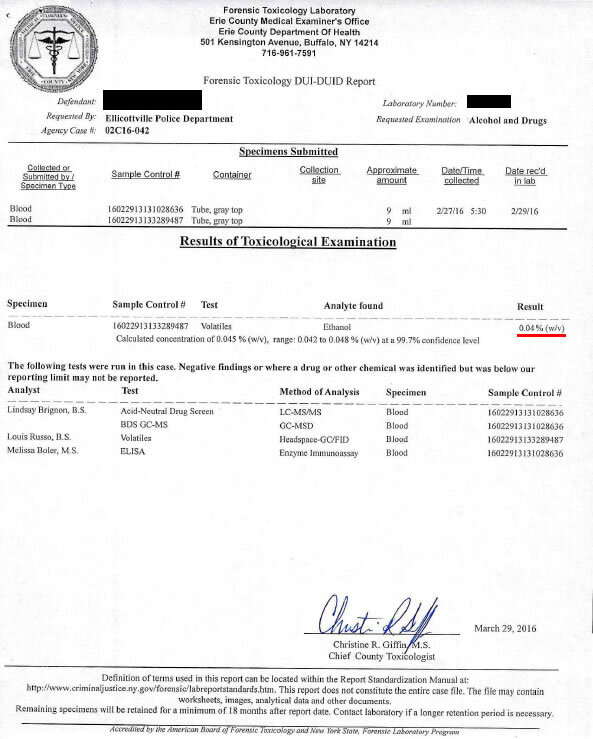 Further proof of why they wanted a blood sample and not a Breathalyzer sample. Some of the tampering methods are using another persons blood or injecting ethyl alcohol using a syringe into the sample. As a side note breathalyzer’s measures only ethyl alcohol however there is serious issues with the calculation mathematics of Breathalyzers. To this day ALL Breathalyzer manufactures have refused to release their source code in order to study it to prove the mathematics that determine the BAC is reliable. When this occurs the corrupt elements may attempt to use use the junk science approach of retrograde extrapolation to claim that the BAC was higher. Not only did they not have the authority to present the matter to the Grand Jury because they had superseded the original simplified traffic informations, the only misdemeanor charge they listed the victim was never charged with originally. 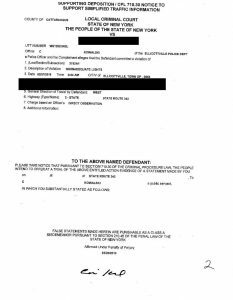 Further no plea offer was made before the presentment unlike other Defendants [People v. Adams, 20 N.Y.3d 608, 964 N.Y.S.2d 495, 987 N.E.2d 272 (2013)]. 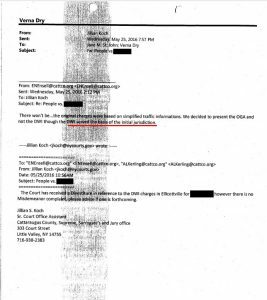 Even one of the county court clerk assistants was asking the same question by the e-mail correspondence. Sr. Court Office Assistant Jillian Koch asked why there was no “Misdemeanor complaint” and where it was. 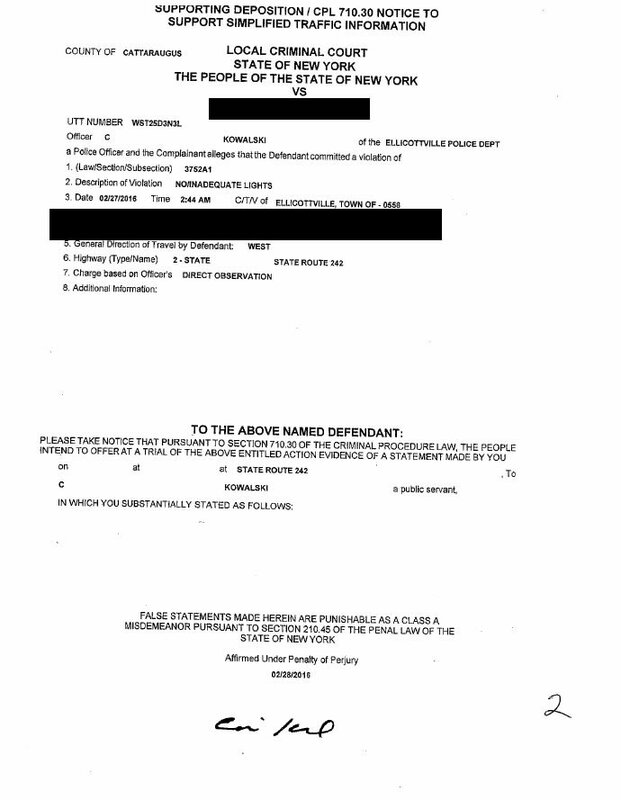 There were no pending charges whatsoever in the lower court that would have allowed the people to move the matter pursuant to CPL § 170.20 to a superior court and the matter could not be prosecuted, therefore the District Attorney’s Office had no authority to take tot he grand Jury and indictment itself is null and void “[a] valid and sufficient accusatory instrument is a nonwaivable jurisdictional prerequisite to a criminal prosecution” [People v. Williams 32 Misc.3d 135(A) 936 N.Y.S.2d 61], the e-mail from court personal and District Attorney’s Office proves that also. Since the District Attorney, i.e. the People, did not have jurisdiction the court has to review the issue. There is no room for ‘discretion”, the most popular word in a judges dictionary. Judges use it all of the time to deny rights. “There is no discretion to ignore lack of jurisdiction.” Joyce v. U.S. 474 2D 215. “Accordingly, the Court has an independent obligation to review for facial sufficiency as a means of assuring that it retains subject matter jurisdiction… Having undertaken a sua sponte review of the Information, the Court readily concludes that it is facially insufficient as to Counts One and Three, as well.” [People v Barber, 42 Misc. 3d 1225(A) 992 N.Y.S.2d 159; 2014 N.Y. Misc. 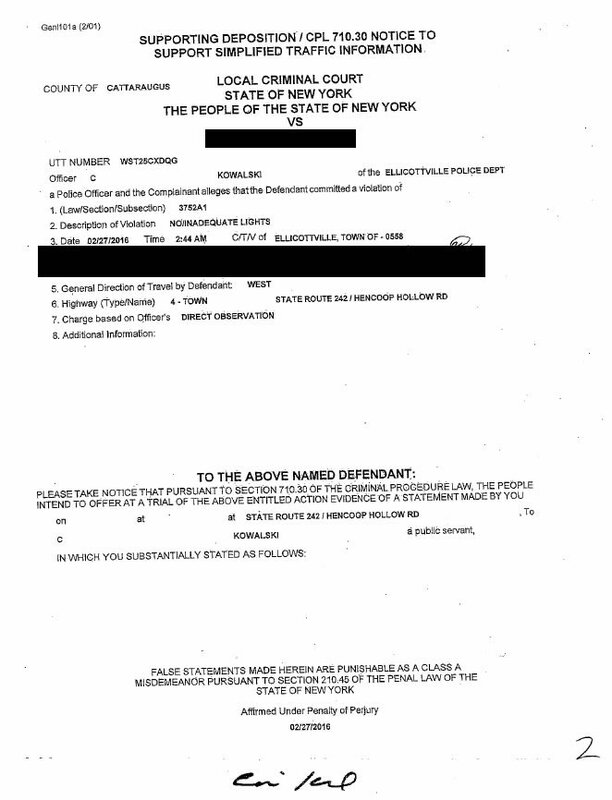 LEXIS 638; 2014 NY Slip Op 50193(U)]. Whenever any officer of the court commits fraud during a proceeding in the court, he/she is engaged in “fraud upon the court”. In Bulloch v. United States, 763 F.2d 1115, 1121 (10th Cir. 1985), the court stated “Fraud upon the court is fraud which is directed to the judicial machinery itself and is not fraud between the parties or fraudulent documents, false statements or perjury. In other words when the judge becomes aware of “fraudulent documents, false statements or perjury” the judge or another officer of the court has a duty to take action on these issues and hold the perpetrator(s) accountable. It is where the court or a member is corrupted or influenced or influence is attempted or where the judge has not performed his judicial function — thus where the impartial functions of the court have been directly corrupted.” “Fraud upon the court” makes void the orders and judgments of that court. A judge is not the court. People v. Zajic, 88 Ill.App.3d 477, 410 N.E.2d 626 (1980). All this information is in the hands of the court. Will it proceed unlawfully thereby creating another mess for the state to clean up? Will it be lowered to a level B misdemeanor so the victim loses his right to a trial by jury? Will the court claim the the original simplified informations were dismissed when the prima facie evidence clearly shows otherwise? Or will the court abide by the law? This entry was posted in Catt Co, Catt Co Important, Catt Co New, Catt Co Popular and tagged 170.25, 408 N.Y.S. 2d 16, 763 F.2d 1115, back country injustice squad, back country justice squad, Bulloch v. United States, Bulloch v. United States 763 F.2d 1115 1121 (10th Cir. 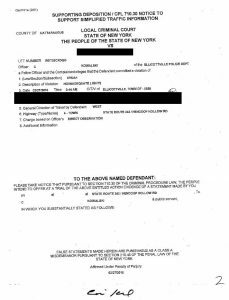 1985), cat county corruption, cattaraugus county corruption, Cattaraugus County New York, Cattaraugus District Attorney, Cori Kowalski, corruption, CPL § 100.50, CPL §190.50, CPL 10.30, CPL 170.20, CPL 170.20 (2), CPL 30.30, district attorney, fraud upon the court, Kowalski, new york corruption, People v. Correa 70 A.D.3d 532 897 N.Y.S.2d 14, People v. Cullen 99 Misc.2d 646 (1979), People v. Greco, People v. Greco 12 Misc.3d 83 (2006) 819 N.Y.S.2d 630, People v. Green 192 Misc.2d 296 745 N.Y.S.2d 656, People v. Key 45 N.Y. 2d 111, People v. Tyler 1 N.Y.3d 493, People v. Williams 32 Misc.3d 135(A) 936 N.Y.S.2d 61, Police Officer Cori Kowalski, Sr. Court Office Assistant Jillian Koch, superseded informations on January 25, 2017 by CatCoCorrupt.